It is a the first day of winter a beautiful clear blue sky but cold from a -3 frost overnight. After a very warm long Autumn the ten days of wet cool weather seemed a sign of a long winter ahead. Today its cheerful. We had a good meeting and were pleased we had more than the committee present. The elected committee is as for 2015 with the welcome addition of Tim Castle to the committee. Our constitution allows us to have another 4 committee members and if you would like to contribute your ideas then we would be pleased to welcome you. The National Trout Centre is a beautiful location and is always a pleasure to visit. There’s always something to see that is different. But the wet weather had even the spring fed Waihukahuka stream dirty making it difficult to see the trout at the entry bridge and again at the viewing chamber. They are wild trout but know a safe haven and easy food so semi wild. But they are great specimens. 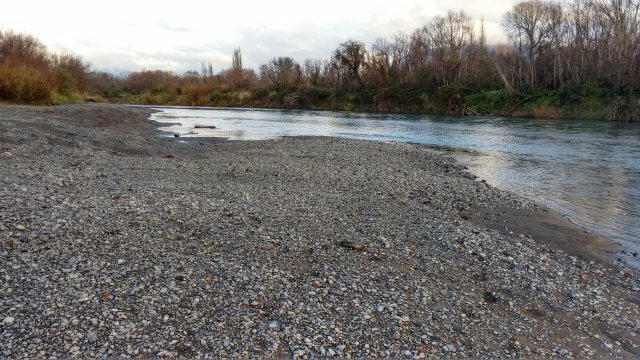 The major issue raised in General Business was that of Gravel removal from Smallmans Reach which had also been raised at the Taupo Fishery Advisory Committee (TFAC) meeting. The weather as stated being wet and cool I thought attractive for fishing. There had not been a lot of interest from anglers apart from the Bridge Pool and I hadn’t felt inclined to fish. But I did and have caught a couple of fish. What I have caught have been less than 3lbs, one really nice proportioned fish and the other so so but I took it anyhow. I was somewhat surprised that it had spawned but the belly seemed firm when I dispatched it. A friend called in yesterday with 2 fish both being small. Gary Brown did catch a good 4.5lb fish. At our Saturday 28th meeting I remarked at the meeting that I would be going fishing when the meeting concluded. 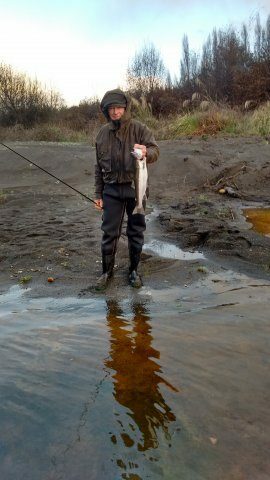 It was bucketing down at times but the day before I had fished, the river was at 35 cumecs, just slightly higher thatn the normal at approximately 22 cumecs and thought it would still be OK. We had had 75mm in the last 7 days. I had looked at the Genesis Rainfall and river flow graphs (as an ex Ludite they are on my cell phone) at all monitoring sites and thought I would be OK. I was surprised to see later in the afternoon that the river was in a small flood peaking at 216 cumecs. A quick check of the monitoring sites showed that there had been a huge deluge in the catchment and significant spikes at near the same time throughout the catchment. 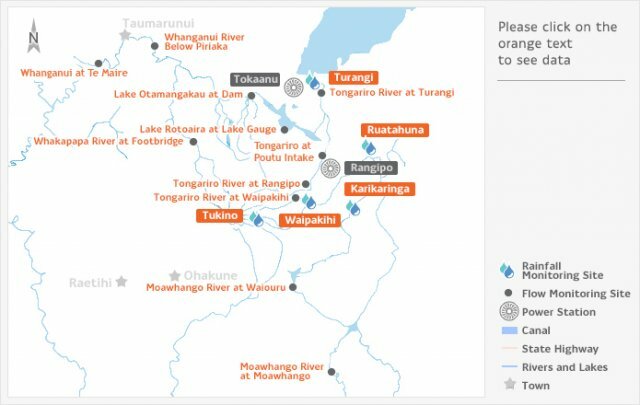 “Water shall not be taken from the Tongariro River via the Poutu Intake when the flow in the Tongariro River exceeds 160 cubic meters per second at Poutu Intake”. This was the case on Saturday. Approximately 70 cumecs are added to the river flow when the Poutu Intake is closed. 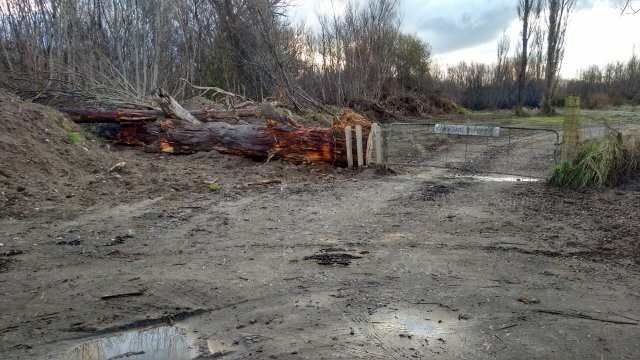 This condition was sought by the owners of Lake Rotoaira who did not want their lake filled in from silt from the Tongariro River which still happens and has to be dredged out every 5 years. It was an interesting spike. The 2004 flood rose similarly rapidly but the flow rate at just under 1500 cumecs was dramatically greater. It serves as a reminder that the whole catchment must be considered re flood levels and the rainfall events that cause them. The main achievement was for DOC fishery Management to be able to change Fishing Regulations more quickly than was the case when change to the regulations required parliaments approval. Fish size and limits are the ones that spring to mind. It was a concern to hear from Andy Garrick of Eastern region Fish and Game that their staff are now wearing stab proof vests. The same information was in The Dominion reporting the poaching of trout in the Rotorua area. Poaching is an ongoing problem. People know when they are pushing and exceeding the regulations and it is disturbing to realise the threat rangers who are protecting the fishery face. Add it to your cell phone contacts. Of Fishing there were differing reports. I have replaced the Fishing Report under Whats Happening with the latest report. Fishing was good until December and the poor to the end of March. It has improved since. On both TFAC and our own meeting Metal Extraction from SmallmansReach was raised. I became aware of this issue in the last week of April but confess I did not go and check until Monday 30th May. Metal was taken from the area and allegations were made that the Pool was damaged as a result. At the beginning of each year an annual plan of works for the river is published. A copy is in our Library and front page Whats Happening. There is an undertaking with stakeholders for the years programme to be explained in a site meeting. I don’t think this happened this year but at a previous meeting only 5 attended the meeting and 3 were WRC staff. Was this work part of the programmed plan of work for this year? 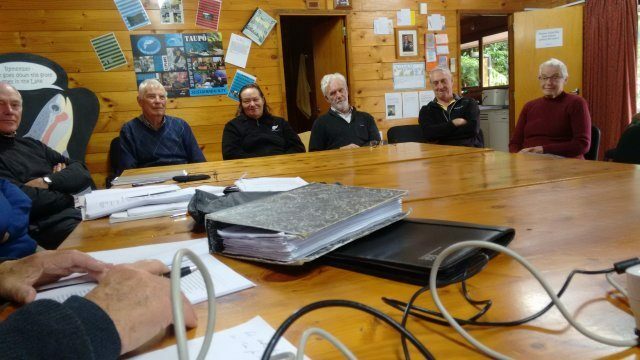 As a member of WRC Taupo zone committee it was reported to the last meeting without challenge. The matter will be discussed with WRC staff work manager for the Tongariro River. 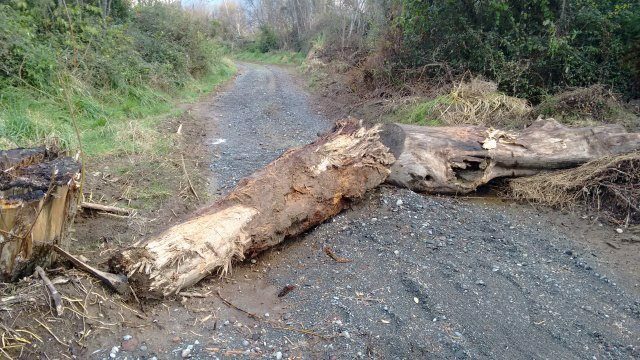 As part of this work a road of reasonable quality was made across Maori land to access the beach from where the metal was taken and which has since been blocked by humps and logs. The road I think is not an issue as it is private land. I went to check after the 200 cumec flood and the river was still flowing at 38 cumecs. As it is some time since I fished the Reach I am unable to comment on the impact for fishing. Every flood changes parts of pools and I probably did not see it when it happened. Attention is also drawn to the lack of access downstream past the end of Graces Road. The sign says Private Property. 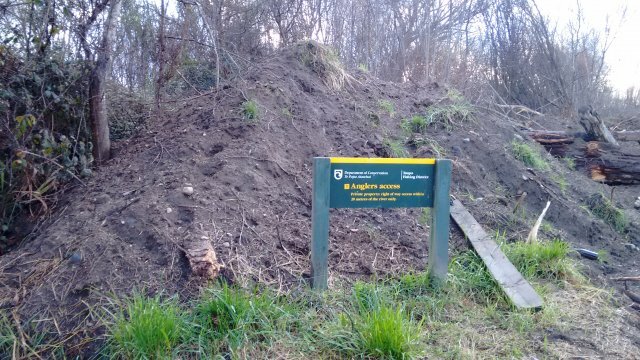 The DOC sign states access is within 20 meters of the river edge. A track had been put through in John Gibbs time and existed until a couple of years ago. What is needed is for the track to be re opened. The matter was raised at the TFAC meeting so DOC are aware of the issue. Subscriptions continue to trickle in. We know from our committee some confusion, have I paid or haven’t I? We will send a reminder next week to those not paid. Thanks to those of you who have paid and those who have made donations we appreciate your support.